After a successful installation, you'll be prompted to register your license key. 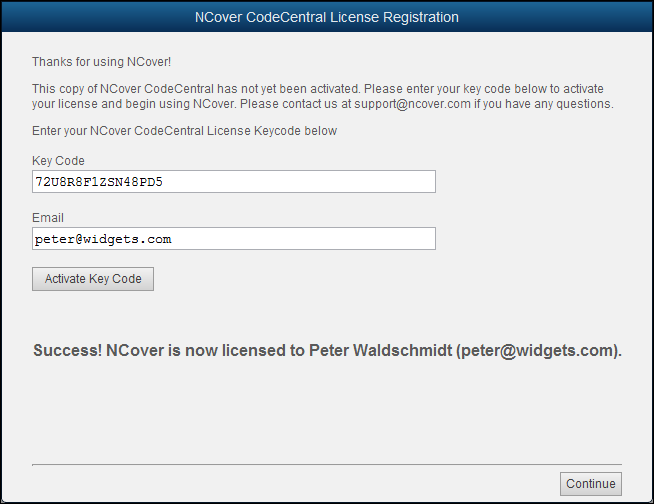 Click on Activate Key Code and Code Central will contact the NCover license server. If the key is valid and active, a success message will display. If validation fails, try again, making sure to enter the key code without additional spaces. 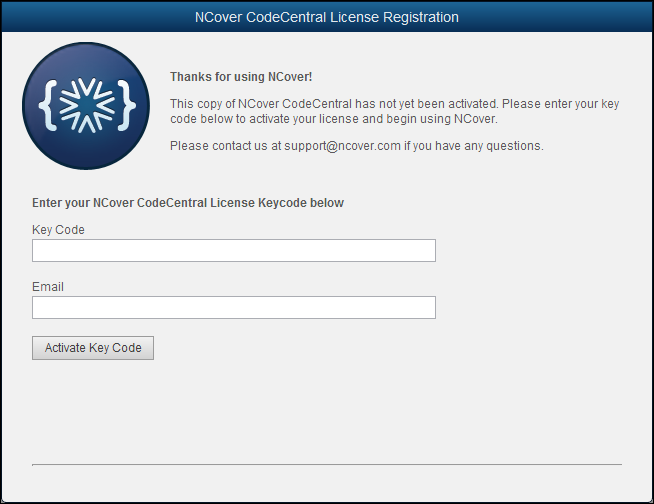 If you still can't validate your trial key code, please contact us at support@ncover.com. Once Code Central is installed and registered, you'll be prompted to create an admin user.